It’s no secret that I haven’t written much on my blog in several months. To be honest, I have been struggling with some health issues and have been working closely with a dietitian (Dietitian Cassie) (as well as doctors) to try and find the cause. Needless to say, I have had other priorities than posting here. However, that does not mean I don’t miss writing, posting, and interacting with every single one of you who reads my blog. There are so many new things I want to share with you that I have learned in the last few months – but that will be a post in it’s own. 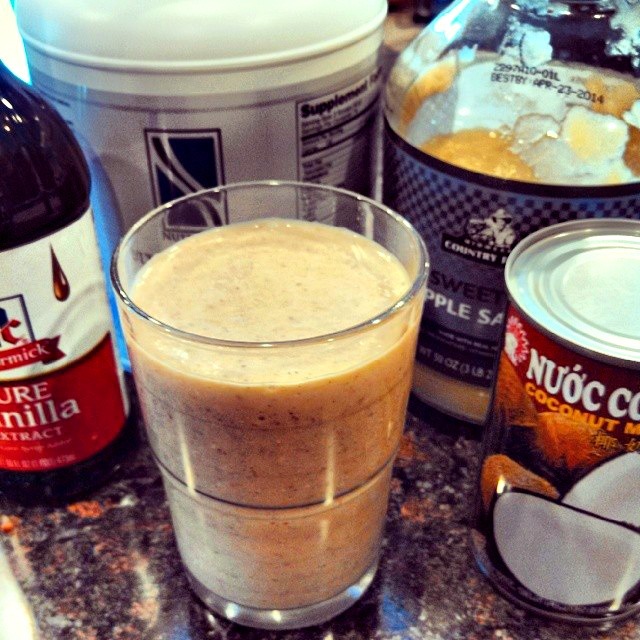 Today, I want to share with you a recipe I made this morning for my breakfast smoothie. As some of you know, I started an elimination diet last week (this means no nuts, no soy, no dairy, no eggs, no gluten). At first, this diet had me antsy and squirming – nervous that I wouldn’t be able to eat anything good: forcing me to gag down every meal for nutrients rather than enjoyment. Good news: this is not true! This smoothie recipe is so, so good! I’m totally making it again tomorrow. Add enough water to cover the steel-cut oats and place in the fridge overnight. Add oats, applesauce, coconut milk, cinnamon, vanilla extract and protein powder to the blender. 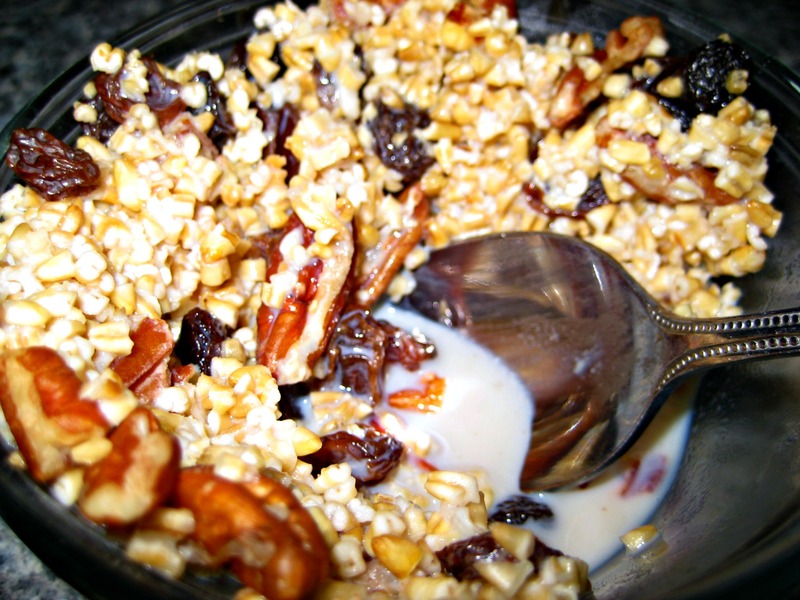 Place milk/water with oats in a bowl and place in fridge overnight. Heat it up for 1 minute (if you want). Add brown sugar (or to taste), pecans (or other nut), and raisins. Some variations may include: cinnamon, maple syrup, almonds, craisins, blueberries….. the list is endless!